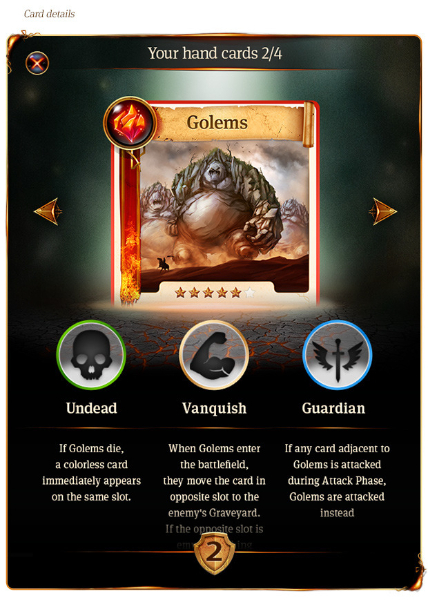 Earthcore: Shattered Elements is a dynamic Action Card Game for PC, Mac, iOS and Android that combines card collecting with fast-paced combat and true tactical depth. 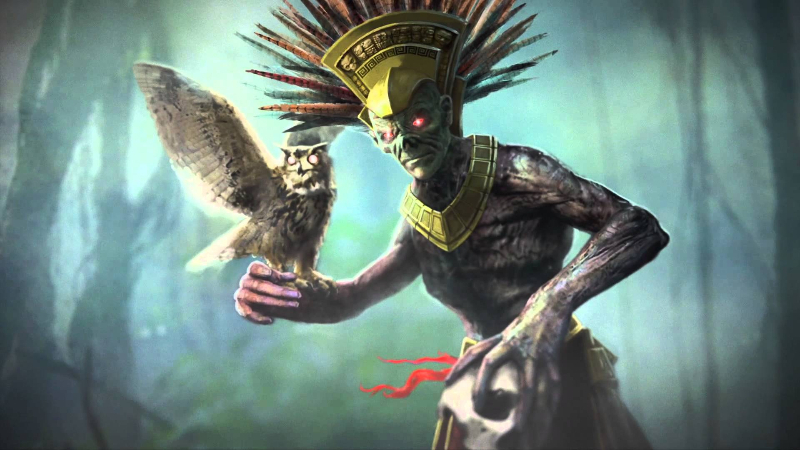 It features handcrafted artwork, dark fantasy themes, and competitive play. 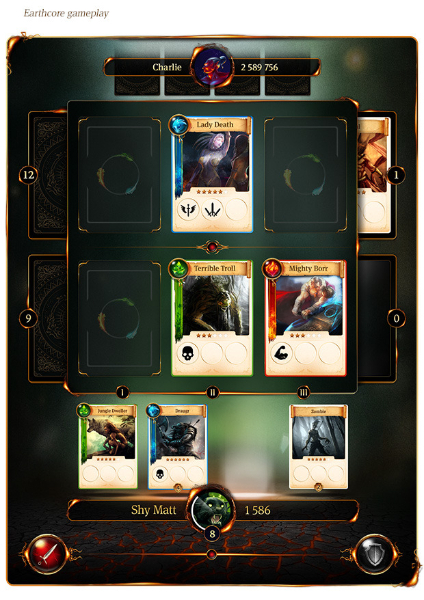 Lean Gameplay: Earthcore is designed the 'trim the fat' of traditional trading-card games by focusing on the elements of deck-building, tactical gameplay, and exciting combat. To this end, the gameplay itself is easy to learn, and the rules, while simple to understand, lend themselves well to complex tactics from advanced players. Unique Artwork: Earthcore is a traditional western fantasy setting and uses art to reflect that. A team of artists has been employed to create unique and interesting graphics for individual cards, which fit into a dark, classical style far removed from more colorful eastern trading-card games. Construct Infrastructure: There are special buildings (such as mines) that players may construct and manage outside of combat to increase the amount of currency earned. Gold can then be spent on booster packs, traps that catch wild cards, and fusion - the process of fusing together weaker cards to create new, much more powerful ones. This is a trailer for Earthcore: Shattered Elements. It does not feature gameplay footage, and is solely for promotional purposes.